I am pleased to announce the newest addition to my family, my grandson Scott Thomas! 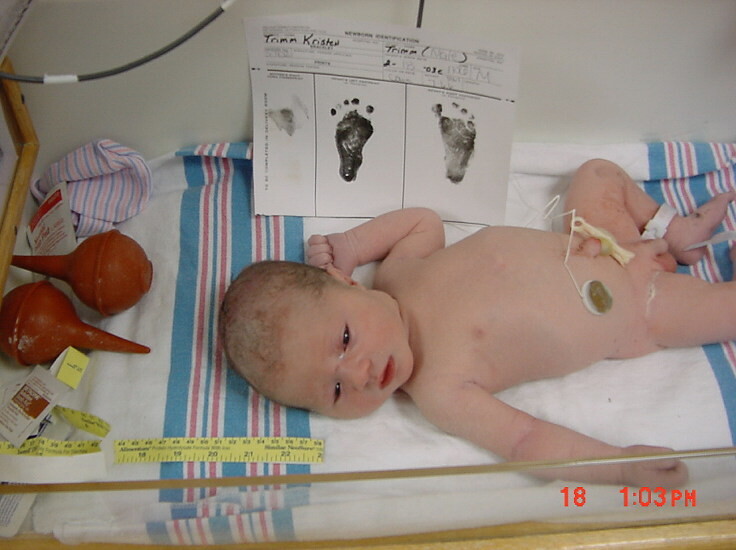 Scott was born on Febrauary 18, 2003 at 11:06 a.m. His weight was 7 lbs. 6 oz. and he is 20 inches long. "Nana" will turn him into a first class hunter in no time. I was given the rare privelege of witnessing his birth and I must say, it's the most beautiful experience I've ever been able to be a part of. It was so touching I cried afterwards. 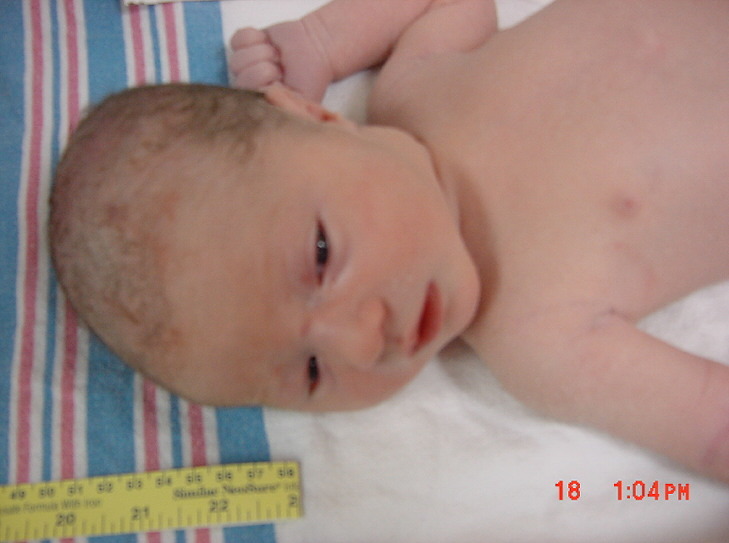 This is a nice close-up the hospital took of him about 2 hours after his birth. 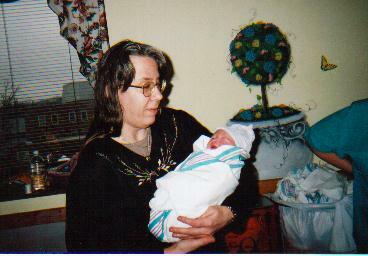 This one is me holding him within the first 15 minutes of his birth.